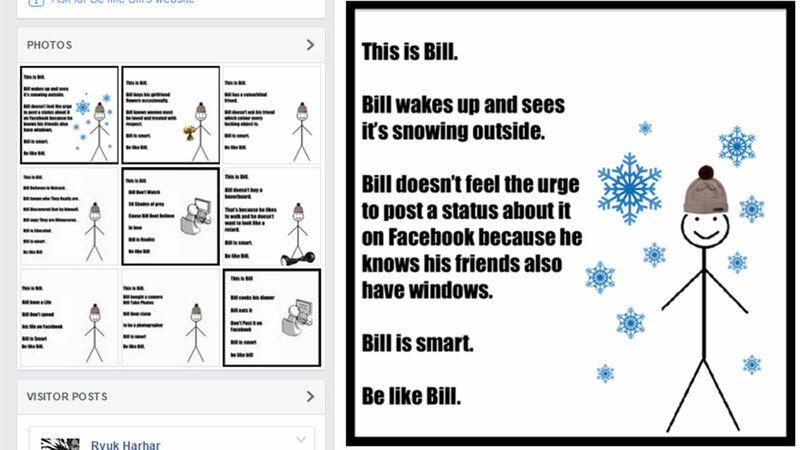 HOUSTON (KTRK) -- Those "Be like Bill" memes you're seeing Facebook feed may be giving you a couple of chuckles, but if you're not careful, they could end up giving you a big headache. It's an example of memes that could be considered "clickbait." The meme creates a story about you and asks you to share it with your friends on Facebook. But according to KFVS-TV in Missouri, the Better Business Bureau says you should read the terms of privacy first and make sure you're OK with what it states with any social media post. The meme's creator, Bobla, originally said in its terms, "You will allow us to use, edit your content with our service permanently, no limit and no recover." The company has since changed it's terms. Now, Blobla says it does not collect any data from the user's Facebook account when you share content from its site. Similar websites could contain viruses that can damage your computer, access your Facebook profile or even find ways to get your credit card and bank account numbers. If you've already used any kind of application similar to the IQ tests, quizzes or other content designed for you to click, here's how you can remove it. Go to your Facebook settings and select the Apps category from the left menu. From there, hover over the appropriate app and click "X" to remove. Don't take the bait. Stay away from promotions of "exclusive," "shocking" or "sensational" video or photos. When in doubt, throw it out. Delete unsolicited emails or social media messages that raise red flags. Hover over a link to see its true destination. Before you click, mouse over the link to see where it will take you. Don't click on links leading to unfamiliar websites. Don't trust your "friends" online. It might not actually be your friends who are "liking" or sharing scam links to photos. Their account may have been hacked and scammers could be using another tactic called "clickjacking". Clickjacking is a technique that scammers use to trick you into clicking on social media links that you would not usually click on. Report scam posts on Facebook by following these instructions. Report malware or spam on Twitter by following these instructions.